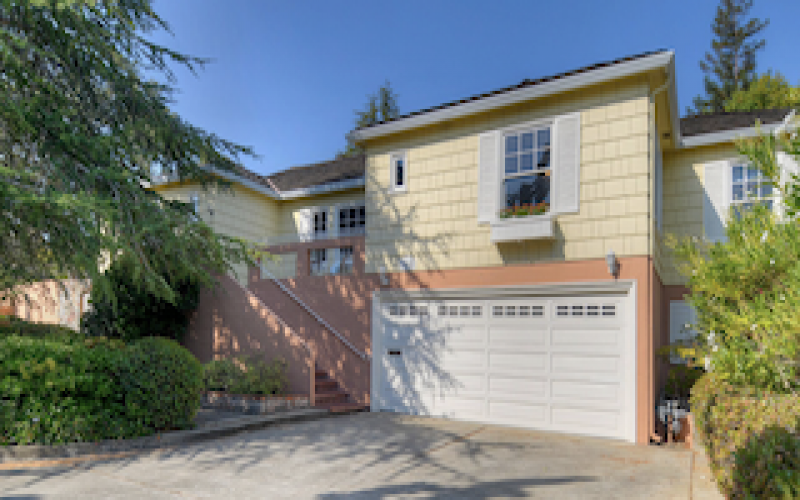 Spreading Music in San Carlos & Beyond! 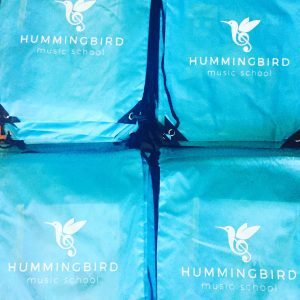 Highlighting another mom-owned business in our community, Hummingbird Music School teaches music to students in San Carlos and nearby cities. 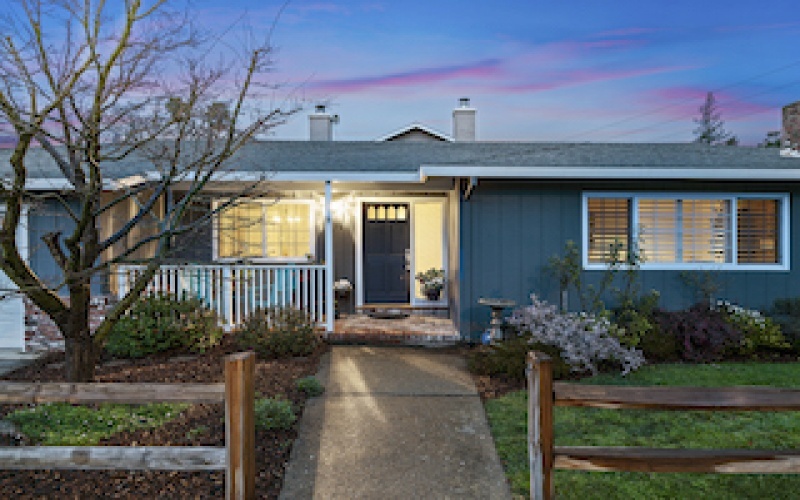 In typical parent networking fashion, I discovered Francesca Draughon, founder and owner of Hummingbird Music School, was teaching piano lessons from a friend. I knew Francesca from White Oaks Elementary but didn’t know she was a gifted piano instructor and musician. Now, two of my children are students of Hummingbird and I have watched Francesca’s business grow in the past year — for good reason! In my continued spirit of supporting other mompreneurs in the community, I thought it would be fun to sit down with Francesca to hear her story. Originally from Florida, Francesca attended the prestigious Indiana University School of Music and then earned her M.A. and Ph.D. in Musicology at UCLA. 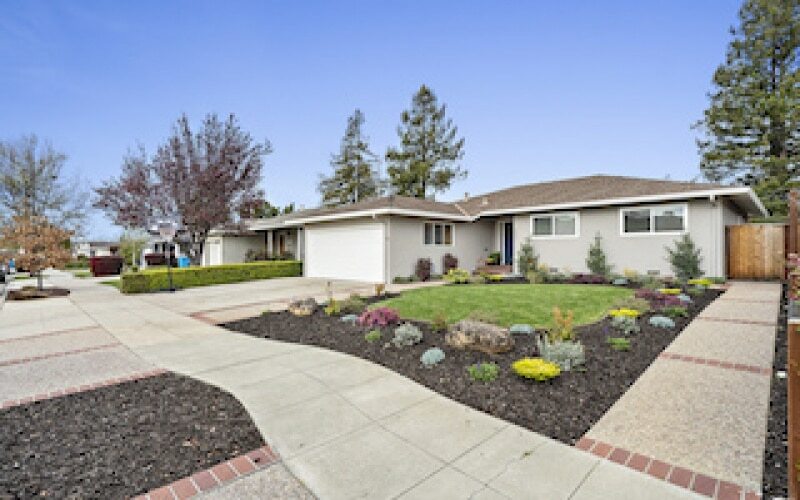 She moved to the bay area when she obtained a teaching position at Stanford University and settled in San Carlos. 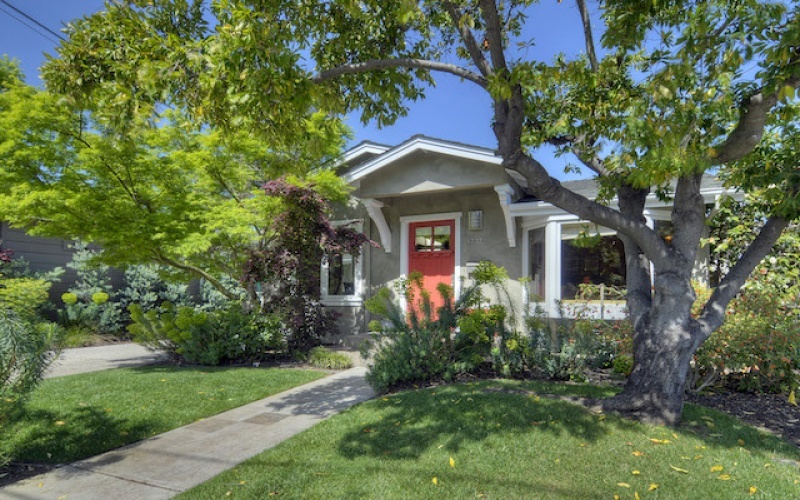 When her oldest child, Ethan, was born, she decided to leave her teaching job at Stanford and stay at home. 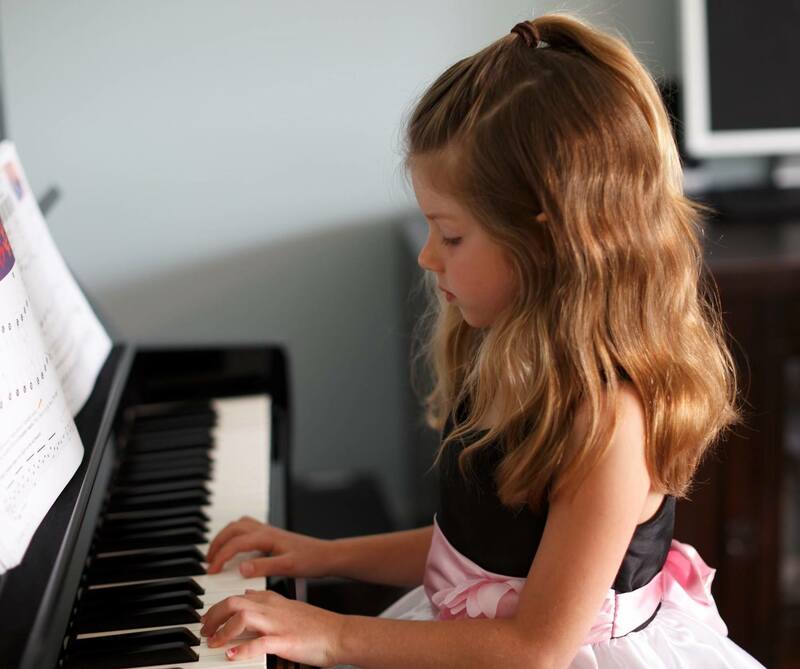 In 2009 her daughter, Emiliana, was born and a neighbor approached her to teach piano lessons to their daughter. 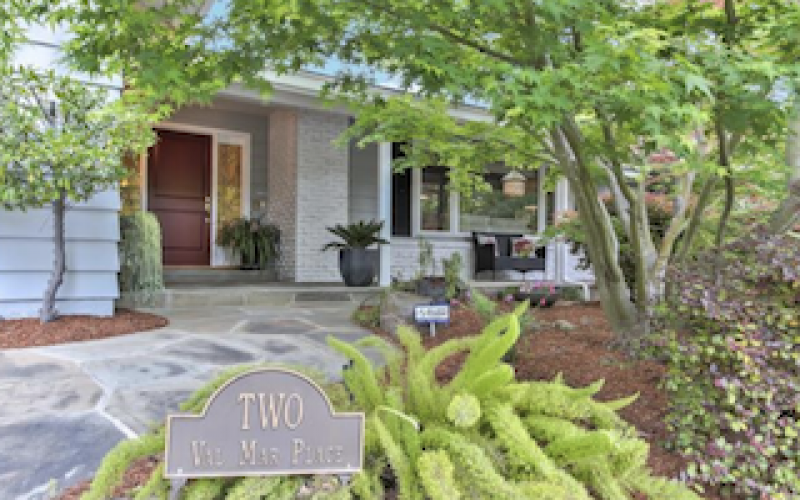 The one neighbor taking private lessons grew into several students very quickly! 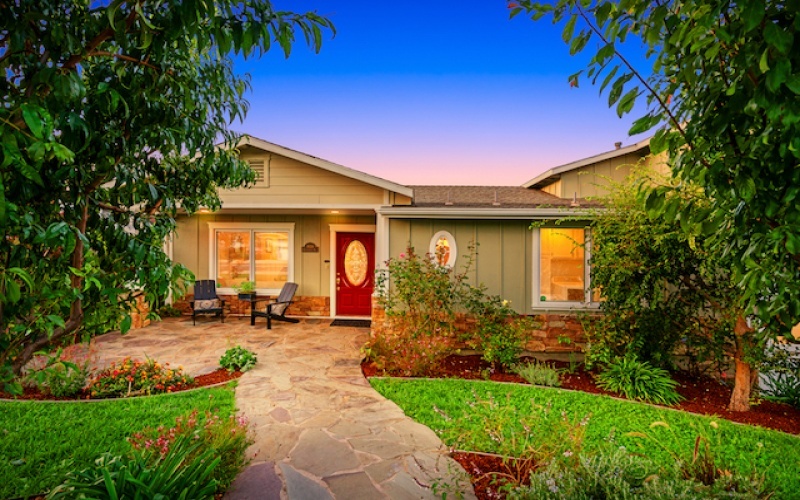 Recognizing the community interest and desire, plus having only so many hours to teach private lessons herself, Francesca decided it was time to hire another instructor and formally create Hummingbird Music School. She hired her first instructor, Sedat Aydin, who could help with piano lessons but could also teach guitar, bass, ukulele, mandolin and percussion. Parents were asking if they could teach other instruments besides piano so it was a great fit and natural progression for growth. 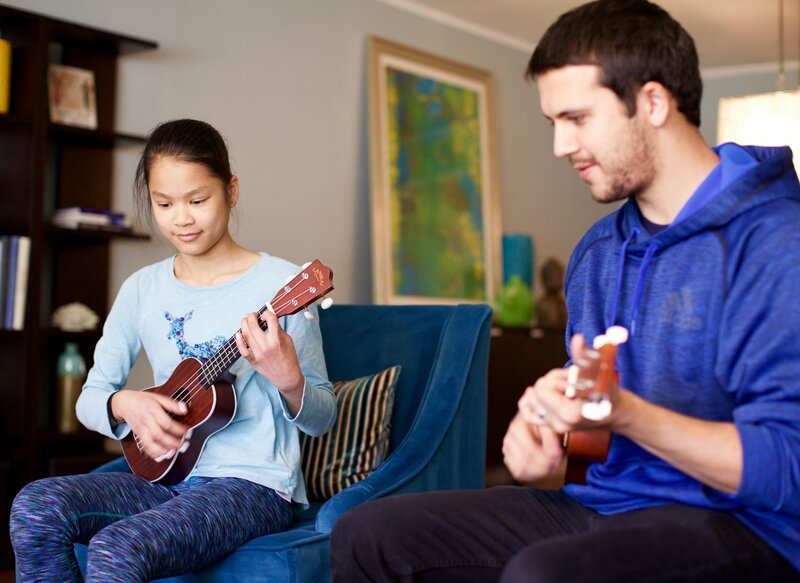 With not all children being able to access private music lessons due to parent work schedules and cost, Francesca wanted to be able to offer music instruction in a group setting. She approached our local elementary Principal to see if she could offer group lessons after school. The Principal introduced Francesca to the San Carlos School District Smart-E Coordinators who screen and pick the various after school enrichment programs for the district. 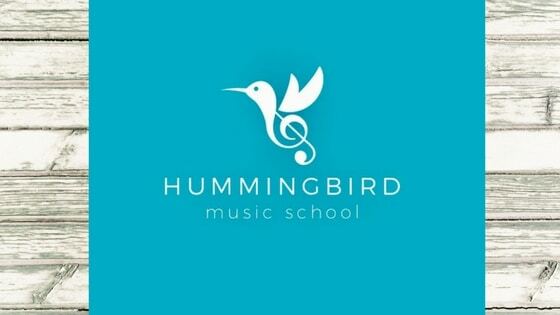 After a diligent screening process, Hummingbird Music School formed a partnership with Smart-E and now offers group piano, guitar, and ukulele lessons at five campuses in San Carlos. Group after school enrichment piano, guitar, and ukulele classes are also offered at Nativity School in Menlo Park. Francesca and Hummingbird Music School now teach 300 students/week thru private and group lessons under the guidance of 12 instructors. 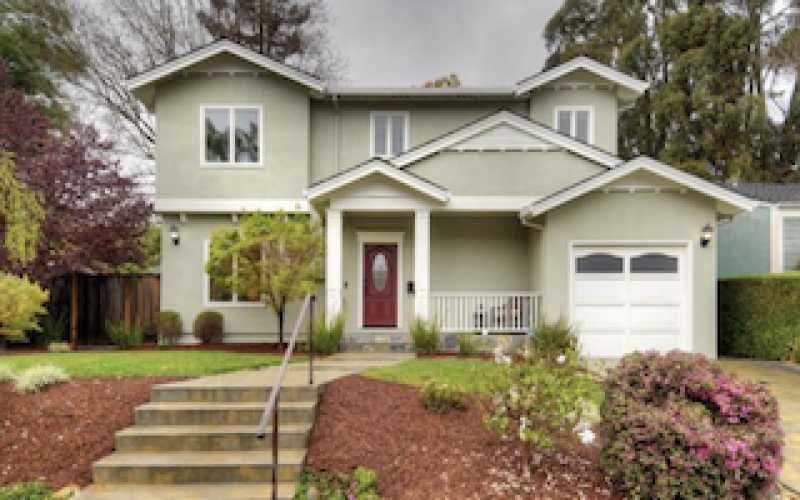 The rapid growth has been exciting but not without challenges. With no formal business background, Francesca took business classes at Stanford to learn about setting up a business, taxes, and marketing. 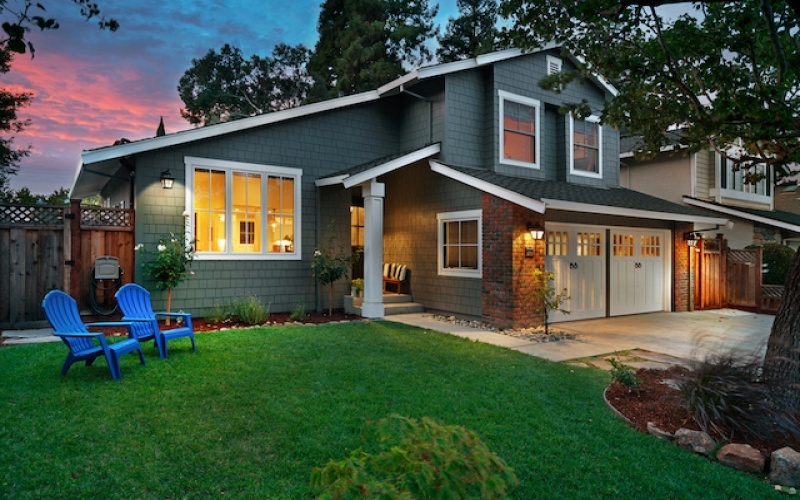 Learning QuickBooks, hiring teachers and building a website were all like learning a new language to Francesca. The growth has also filled Francesca with enormous gratitude; to create a collaborative teaching environment in partnership with the Hummingbird instructors, inspire young musicians and grow a woman-owned business in her community is very fulfilling. She says, “There is no better feeling than watching a student learn music, have them grow from playing an instrument in a private lesson setting to ultimately being able to play music with peers and to create a song.” She is proud of her team of instructors, all who are accomplished and highly qualified musicians. 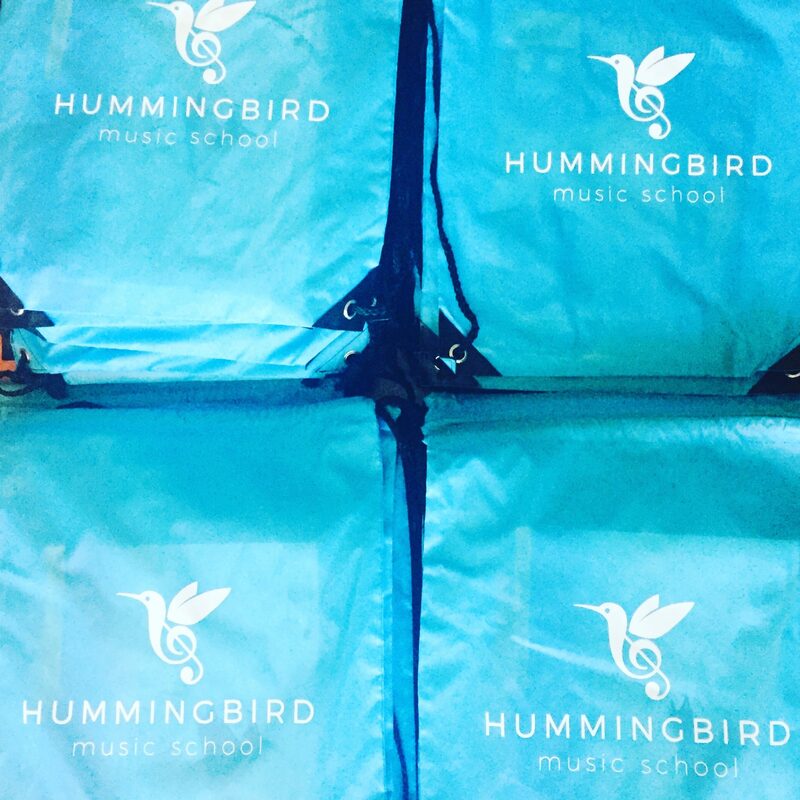 The future is bright for Hummingbird Music School! Francesca is working on partnerships with other school districts and would love to partner with local corporations to offer in-house music lessons to employees. Ultimately her goal is to offer her music instructor team the ability to teach music full time with health insurance benefits. She is excited to offer Rock Band Summer Camp this year. 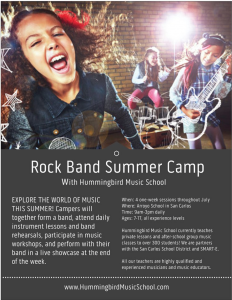 At Rock Band Summer Camp, campers will be immersed in live music and performance, experiencing what it’s like to be in a rock band with fellow musicians and bandmates. Campers will together form a band, attend daily instrument lessons and band rehearsals, participate in music workshops, and perform with their band in a live showcase at the end of the week. You can read more about Rock Band Summer Camp here. 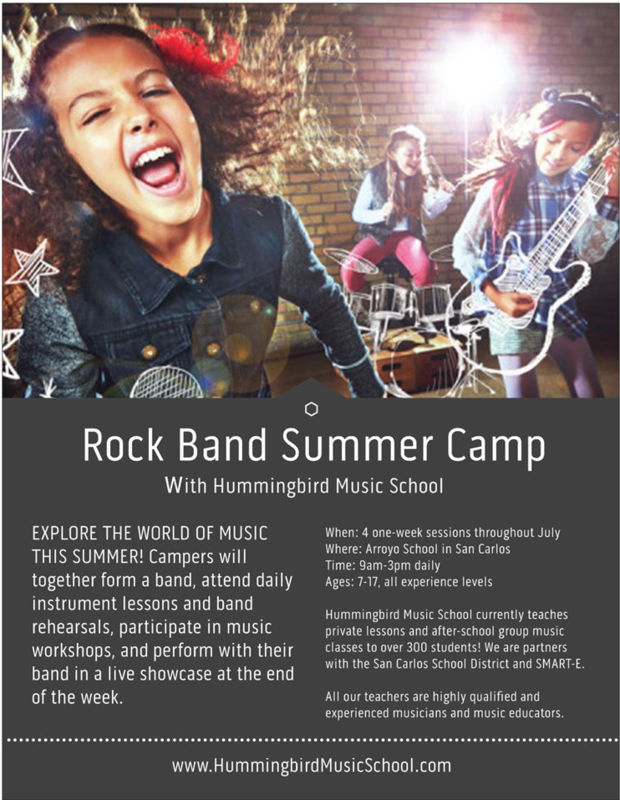 If you have a child interested in learning to play an instrument, I highly recommend connecting with Francesca and Hummingbird Music School. 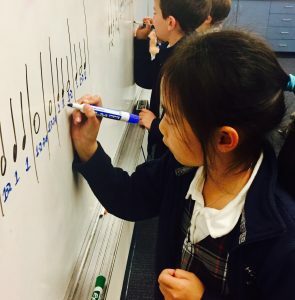 Her goal is to provide a robust music education in a positive, encouraging environment that is the right fit for the child to learn the gift of music.